Published on April 29, 2015,	by doyle in New Items in Store. 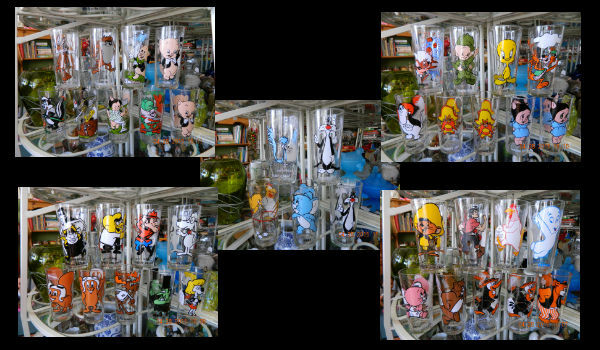 Pepsi in the 1970s released some fantastic collector glasses: Looney Tunes, Rocky & Bullwinkle, Cool Cat, Tom & Jerry, and others. We have just placed a collection of 41 unique glasses from 1973 to 1976 out on our shelves. These are great collectibles items!!!! Stop in and pick up your favorite characters before someone else gets hold of them!! !